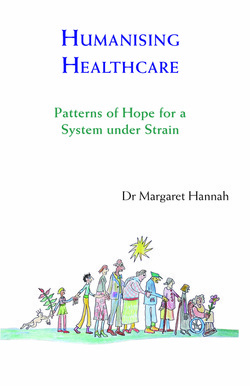 The months since publication of IFF Member Dr Margaret Hannah’s Humanising Healthcare have done nothing to diminish the force of its message: that modern health and social care systems around the world are financially unsustainable and another approach is imperative. The book outlines that approach and offers a programme to invest just 1% of 1% of existing healthcare budgets in a transition strategy to restore over time a system that “sustains healthy, fulfilled lives at a fraction of the current cost”. Which Health Minister will be first to take up the challenge? The book is generating a lot of interest. Health officials and practitioners in countries as diverse as Australia, Germany and Slovenia have been in touch to learn more – and we plan an international seminar next year to bring this growing community of interest together. ​Closer to home, there have been a number of Humanising Healthcare seminars and conferences – not so much to spread the word as to validate this shift in healthcare practice which is already underway. We have now assembled a set of dedicated resources to support this shift in practice in the transformative innovation in healthcare area of our IFF Practice Centre.